The election for three members of the Las Vegas City Council, plus the Mayor, is on now. Two seats have been vacated, one by the termed-out rule, and one by a self-imposed retirement; the third city council election is a no-brainer because the sitting city councilman in that seat is without a doubt the only choice the voters on Ward 5 have. strike (to get elected) regardless of their lack of experience or qualifications, and then to sit there and follow the leader. Ward 3 has two experienced politicos both looking for the famous paycheck “to serve the community” that they have let down before without any remorse. 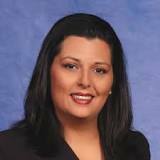 Olivia Diaz is the “dedicated public servant” that knowing full well she was not going to keep her job in the Nevada Assembly ran for reelection, collected campaign contributions, and, after winning the same post she already had for eight years, called it quits “to serve the people of the city Ward 3 that needed the representation they don’t have. 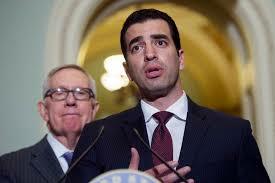 The campaign staffers remember Ruben Kihuen as the man who might be doing them a favor by speaking and shaking hands because he is the shining star of the Democrat Party and the protégée of the infamous retired senator that never retired, Harry Reid. either, one or the other, will add another Democrat to the city council and little by little turn the Las Vegas City Council into a socialist group like the County Commissioners with all of them fighting for a sanctuary government. The possibility also exists that the hand of Harry Reid is behind all this and whatever and whenever the hands of Harry Reid get in the game, it is not a distraction but a destruction.We hope that the people of Las Vegas have the common sense to not allow the Democrats to take over the city government and realize that the city of Las Vegas is the best city of them all and does not need to be ruined or destroyed by socialist programs and socialist ideas. communism is nothing but hunger, repression and a totalitarian regime with no freedom and much emphasis on hunger. We are lucky to have the benefit of term limits and we do not have to be concerned with Lois Tarkanian or her daughter-in-law; the people of Ward 1 only have the minimum concern with her long time loyal and devoted assistant, Robin Munier, who is running to replace her now boss and friend of many years. operating in residential areas will continue, and the property values will continue to depreciate — most likely, the octogenarian Tarkanian will still be on Ward 1 running the show. elect people that are conscientious, people that have the best interest of the community at heart. We urge the community to make sure that they are not voting for a candidate only because they are neighbors, they went to school with a family member or because the candidate remembers their name from five years ago — something politicians are good at. Remember Victoria Seaman? She did play the same game as Olivia Diaz just played, running for one position, and as soon as she won, she enlisted herself to become a state senator but lost and has not been able to get reelected ever since. Previous story Detective Gordon Martines unexpected death may be or could be questionable.